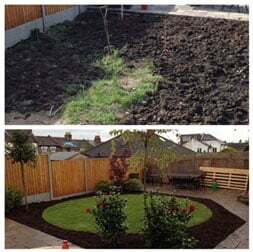 Everything you need to know: Starting with The people; We’re a family run garden landscaping business, and have over 15 years in transforming small to large gardens. 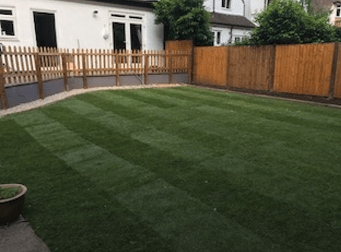 Home turf & Location reach: We work across north LONDON And are happy…..
We’re a family run garden landscaping business, and have over 15 years in transforming small to large gardens. And are happy to offer quotes and advice. 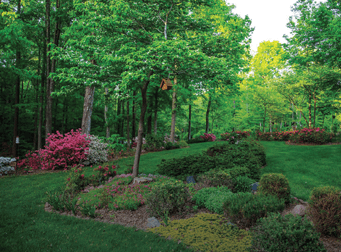 We arrange a time/ day to personally meet you and take the time to see your garden. We love our customers to share their ideas, and we incorporate their vision in everything we do, this is coupled with our own best practice to ensure you Garden is just right. For one job, our customer only had an existing patio without much room to add turf, beds , new plants. They didn’t want a standard squared lawn, so we designed a number of ideas/ plans which included their wish for more plants and beds. 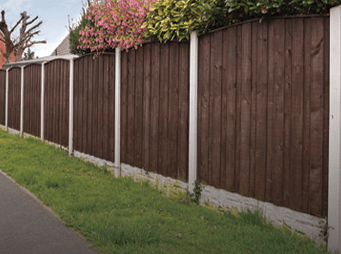 Edge & Cut believe in serving their customer with excellent service and competitive quotes. Edge and Cut believe in premium service and maintaining relationships for all their customers. Day 1 – to dig over the whole bed, level out the ground. Once the garden was level out, we had to find centre of the area ready for the Circle. Day 2 – By now all area is completely level and we start turfing. To make life easy we Turf out a square and already knowing the centre, we add a pin in ground , then using string and silver sand and funnel we managed to mark out a nice circle to cut around. We then choose the plants the customer preferred, and planted them. We then got dug over the beds to give it that fresh look. We made sure all areas in the garden looked fantastic, by tidying and caring for existing plants. Our customers share this with us directly, and are very satisfied and happy. We are delighted that our customers re book us for maintenance top ups and continue to recommend us. If you’d like to check out our work – follow us at Edge&Cut via Facebook , instagram our our blog here.